Nearly all 63s, there were a few exceptions, were powered by Hall-Scott Defender engines. The V-12 Defender was born in 1937 at the request of the British government when Hall-Scott engineers mated two Invader engines covered below. Originally the Defender was available in two displacements as well as a supercharged version. Hall-Scott produced over 5,000 Defenders by the end of WWII. Many were used by British Commonwealth nations and two were in each of the 63 ft. American crash boats, both Army and Navy, with the first delivered to the US Navy in 1938. 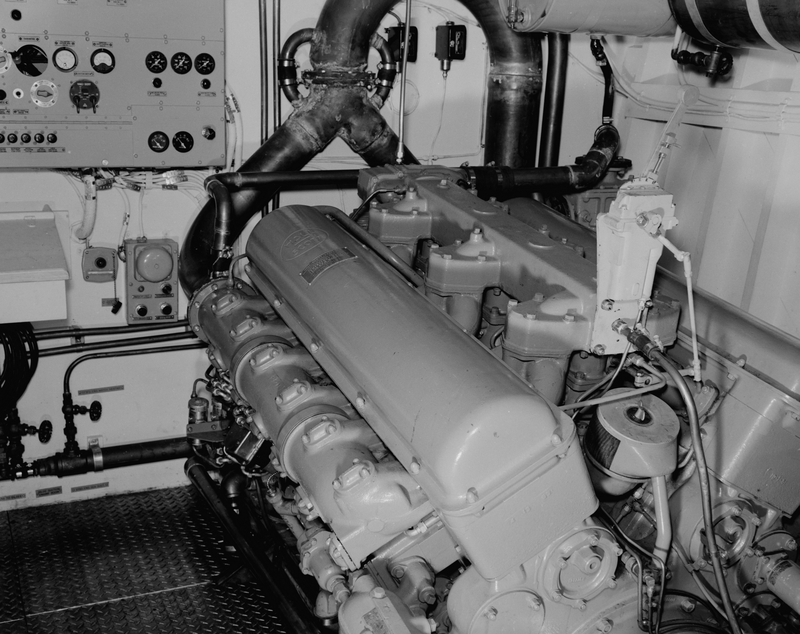 After the war the marine engine market switched to diesel but a modified Defender continued in civilian production as a stationary power source. Hall-Scott engines were a very popular intercity bus engine well into the 1950s. The engine weight could vary from 3,600 to 4,600 lbs. depending on the version. The first Defenders were 1996 CID with a 575 hp. rating. When the Navy needed more power the engine was bored and stroked to 5.75 by 7 inches, (2281 CID) and supercharged up to approximately 700 hp, depending on the source of the information. Among the advanced features of both the Defender and Invader engines were overhead cams and valves, hemispherical and cross-flow cylinder heads, aluminum pistons and crankcases, and interchangeable parts between engine models. 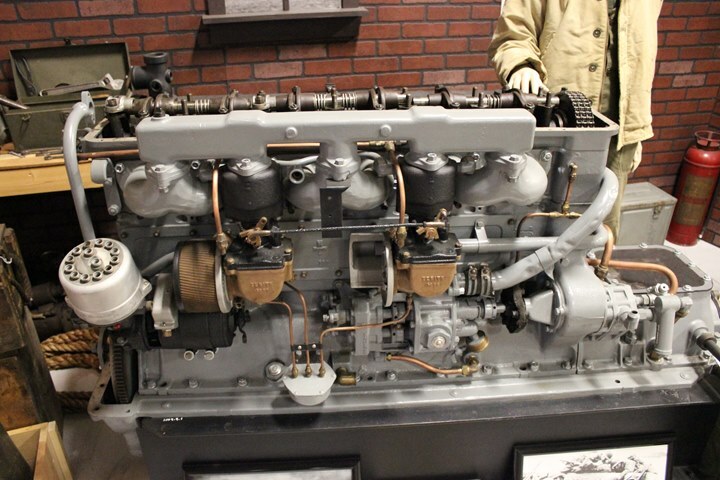 The six cylinder Invader was introduced in 1931 as a 998 CID marine engine; beginning in 1940 it was used to power Autocar (their brand) trucks, buses, and a variety of stationary power sources with new model numbers. Hall-Scott offered these variants up to 1091 CID. The Invader, with all its variants was by far most popular engine produced by Hall-Scott. . E. J. Hall left the company in 1930, but all the engines produced until the early 1950s were heavily influenced by engines he designed before his departure. During World War II Hudson Motor Car Company was licensed to build the Hall-Scott Invader and labeled them "Hudson Invader 168" in several places, even though they were not authorized to label them as their own. However, in literature from the period it was identified as a Hall-Scott engine and not a Hudson. 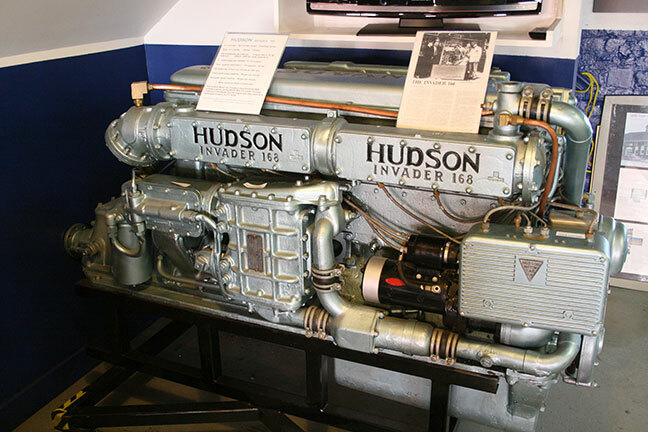 Hudson production of the engine ran from December 1942 until September 1944 during which time 4,004 were built for the US Navy, most were used in landing craft and an undetermined number found their way into 42 ft. AAF rescue boats. It was this engine, along with the Kermath Sea Raider Six that powered the 42 ft. AAF rescue boats. Of the 2 engines used in the 42 ft. rescue boat, the Hall-Scott was the engine most commonly used. The engine is listed as a 6 cylinder, 998 CID, with a 5.5” bore and a 7.0” stroke. . The engine produced 250 hp. at 2100 rpm and weighed 2480 lbs. dry. This was a straight six with overhead valves, two spark plugs per cylinder, and two updraft carburetors.